The quality of melancholy was associated with English music of the 16th and 17th centuries, and it certainly had resonances abroad. 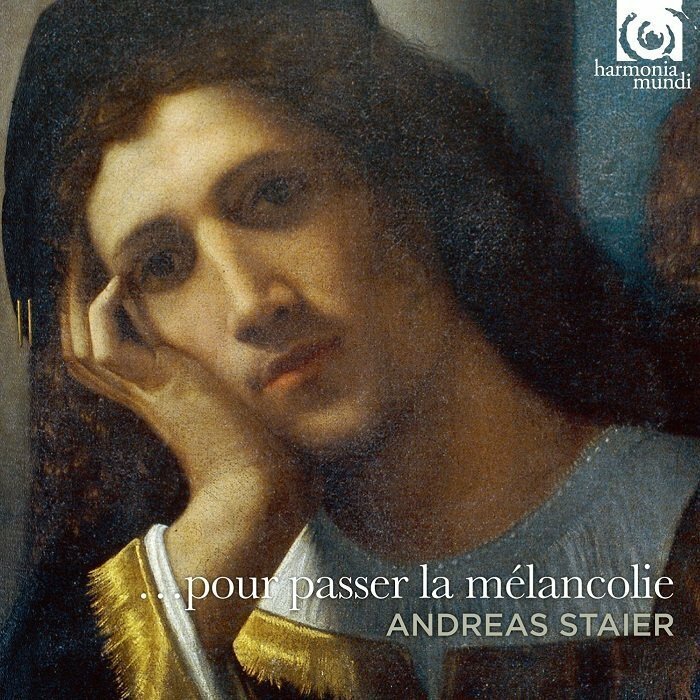 In this selection of French and German works of the early Baroque, played by the always daring harpsichordist Andreas Staier, the connections are never made quite clear, in the music or in Staier's booklet notes. But it hardly matters, for the music and the performances here are compelling as individual units. The only explicit reference to melancholy comes in two movements of Froberger's suites, which programmatically depict the disagreeable circumstances of the composer's trip to London: he was robbed by pirates on the boat from Calais, showed up in England with only a seaman's shirt to his name, and was subsequently maltreated as a result. This is intriguing, but it is hardly the classic melancholy of Elizabethan circles. Elsewhere you get various kinds of serious pieces, none exactly melancholy: there's a fine example of the Tombeau or memorial piece, this one in honor of Jacques Champion de Chambonni?res (track 15); a remarkable French fugue by Jean-Henry d'Anglebert (track 5); a harmonically dense suite by Louis Couperin; and several weighty German pieces that were among the ancestors of J.S. Bach's serious mode. They aren't really melancholy, but they're splendid, little-known works, and Staier's bold, stirring playing, always a pleasure to hear, is especially impressive in these ambitious works. He plays a recently restored French harpsichord of the late 17th century that can stand up to his high-intensity style. The result: a fine program that achieves something different from what it set out to do.